Last month, LinkedIn rolled out an exciting new feature for lead generation ads. Lead Gen Forms are designed to increase mobile conversion rates by placing CTAs on your ads, making it easier for users to take action. LinkedIn says 80% of engagement with sponsored content happens on mobile and the network realises web forms are a common obstacle to conversions. So it’s decided to take action by creating user-friendly forms on your behalf and prompting users to convert inside the LinkedIn app. Sounds good, right? Well, let’s take a close look. 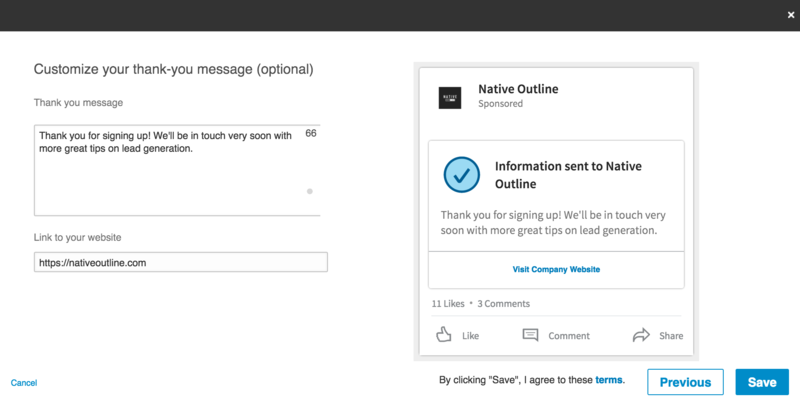 LinkedIn Lead Gen Forms are available for sponsored content campaigns. You can choose whether to use them or not and they won’t cost you anything, so it’s certainly worth trying them out to see what impact they have on lead generation. 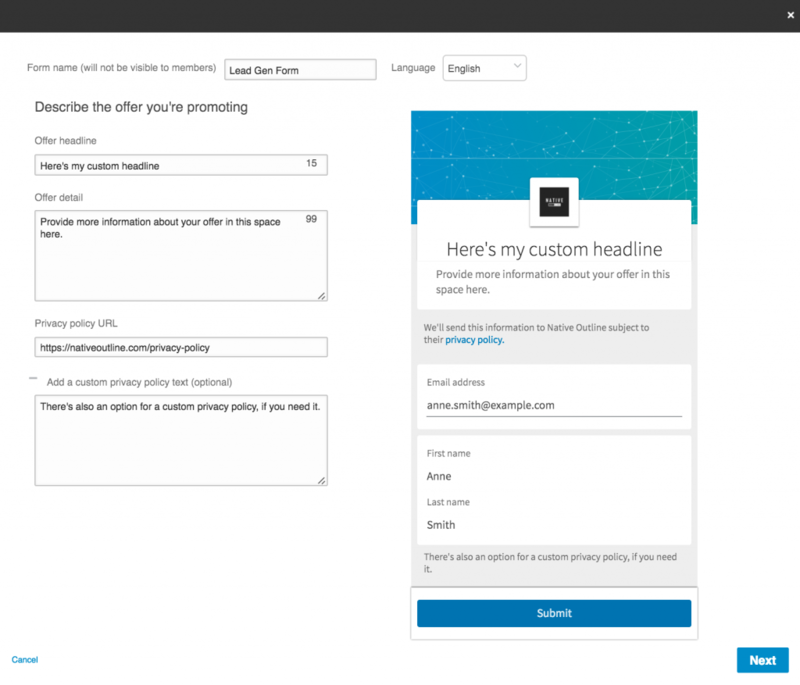 Essentially, Lead Gen Forms add a call-to-action to your sponsored content ads, asking users to sign-up, download your eBook, or whatever action you’re targeting. When users click the CTA they’ll be greeted by a signup form inside the app, but instead of filling out fields LinkedIn will automatically pull in the details from their account – so all users have to do is confirm their email address and hit the submit button. Next, you can choose which details LinkedIn collects from user accounts (a maximum of seven fields). First name, last name and email address are selected by default but you can also request additional contact, location and professional details that your Lead Gen Form will automatically collect. Users will be able to see what information you’re collecting from them on your Lead Gen Forms, so be considerate of how much info you think they’ll be willing to hand over. These forms remove the need to type anything out but they don’t necessarily remove the reluctance to hand over personal details. Bare this in mind and understand you might need to experiment a bit to maximise conversions from these forms. As I say, the whole point of LinkedIn Lead Gen Forms is to boost conversion rates from your lead generation campaigns. It’s a pretty good implementation, too, and there are a number benefits to using the new feature. The aim of the game with Lead Gen Forms is to make it easier for users to convert by removing friction. All it takes is two clicks for users to convert – an impressively low commitment required on the part of users. This adds up to a serious improvement for mobile users compared to the standard promoted content format. Want to sign up CEOs? Then create your campaigns with them in mind and select “Job title” as one of your fields to confirm you’re getting the right sign-ups. 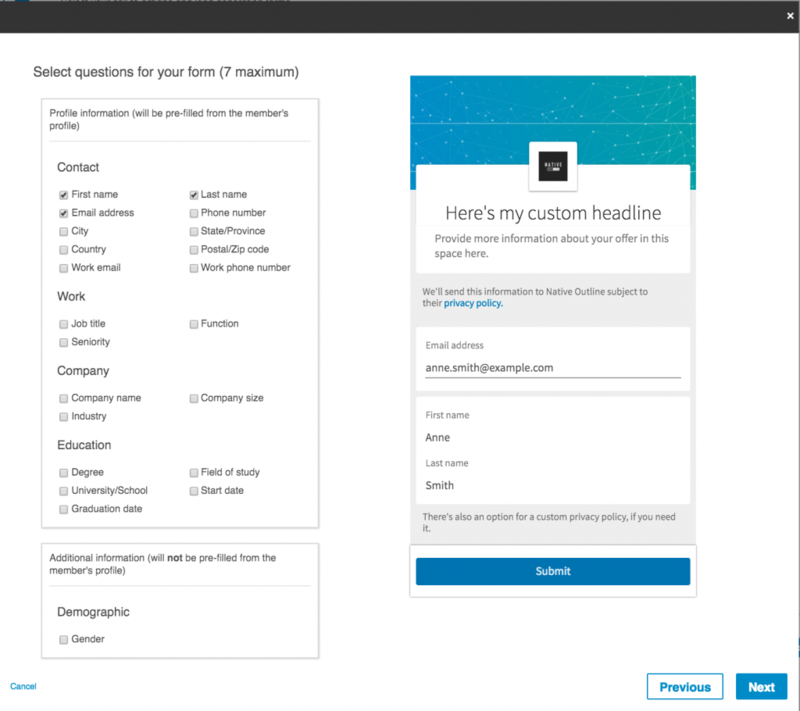 Something I’ll be keeping an eye on over the coming months is the potential for double conversions with LinkedIn Lead Gen Forms. After users hit the submit button, they’ll be greeted with your thank you message and prompted to visit your site, which gives you the option of targeting them with another offer. Of course, you’ll already have their email address by this point so the aim is to bag yourself a more valuable conversion – eg: free trial signups, product purchases, social shares or whatever else you think could add value to this lead. By using Driftrock, Zapier or Oracle Eloqua, you can integrate LinkedIn Lead Gen Forms with a wide range of third-party marketing tools. This means you can collect your data from LinkedIn and automate the process of nurturing your leads from the new feature. Are there any downsides to using Lead Gen Forms? While I’m excited about working with LinkedIn Lead Gen Forms there are a few potential downsides I can already see. None of these are confirmed (just like the potential benefits) but I’ll be keeping an eye on a few things over the coming months. Actually, this one doesn’t need to be confirmed. Lead Gen Forms have a lot to offer LinkedIn advertising campaigns but let’s be clear: they don’t solve the form design problem most brands are suffering from. If your web forms are designed and optimised the way they should be, then LinkedIn Lead Gen Forms won’t make much of a difference because your forms will already be converting across all devices, for all of your ad campaigns, on every network. The reason LinkedIn has come up with this feature isn’t because promoted content ads were failing; it’s because brands are failing to create an intuitive experience once users land on their site. Instead of waiting for Google, Facebook and everyone else to design a bunch of web forms for you, take control of your own lead generation by creating and optimising forms that convert. The right form optimisation tool will also help you improve performance and increase conversion rates – something you won’t get from LinkedIn Lead Gen Forms. Let’s say you have an intuitive signup process on your site, designed to capture leads from LinkedIn and your other lead generation channels. If this is the case, then Lead Gen Forms could actually add friction to the conversion process. Instead of clicking right through to your site and instantly accessing your content, the CTA on promoted content ads will take users through a multistep signup process – before they’ve accessed your content. This is where I see a potential problem. 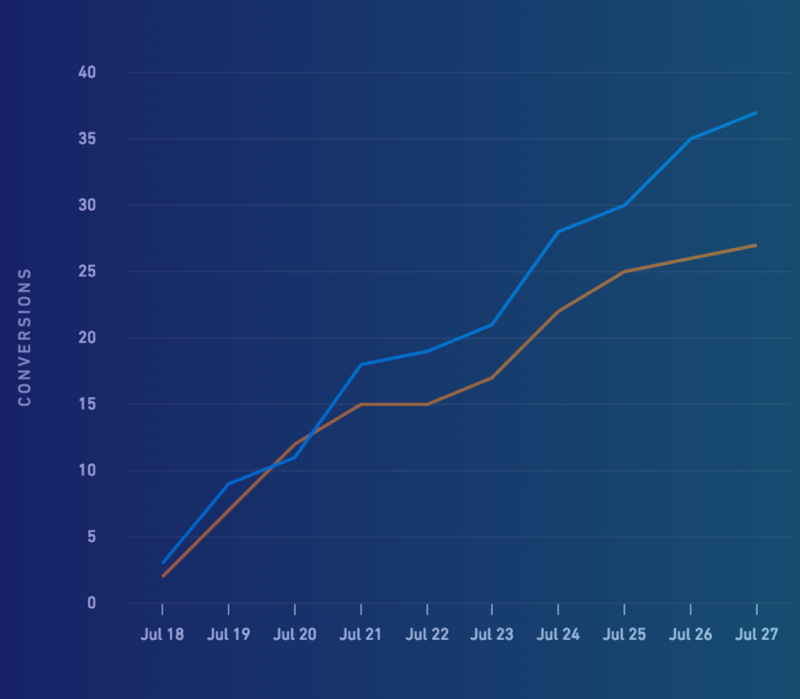 There’s always a downside to in-app conversions: the risk that traffic will never reach your site. If you’ve already got their email address, you might consider this a small price to pay but missing out on traffic can rob you of other conversions, useful analytics data, potential ad revenue and other branding opportunities. All of the advertising giants are creating their own “walled garden” systems, making it more difficult for users to leave their platform. It would be a shame to see LinkedIn take the same route and Google and Facebook. Don’t let me or anyone else tell you how good LinkedIn Lead Gen forms will/won’t be for your business. If you’re advertising on the network, try them out for yourself and see what kind of difference they make to your lead generation results. Just bare in mind your results will vary depending on the kind of content, ads and campaigns you create. Lead Gen Forms won’t do everything for you.